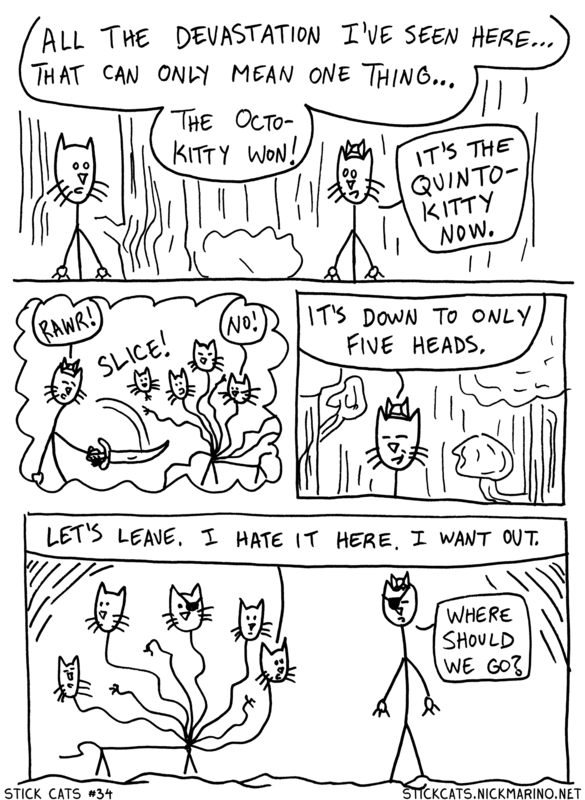 I've been eagerly waiting to post this page since the beginning of Stick Cats Act III!!! Why? 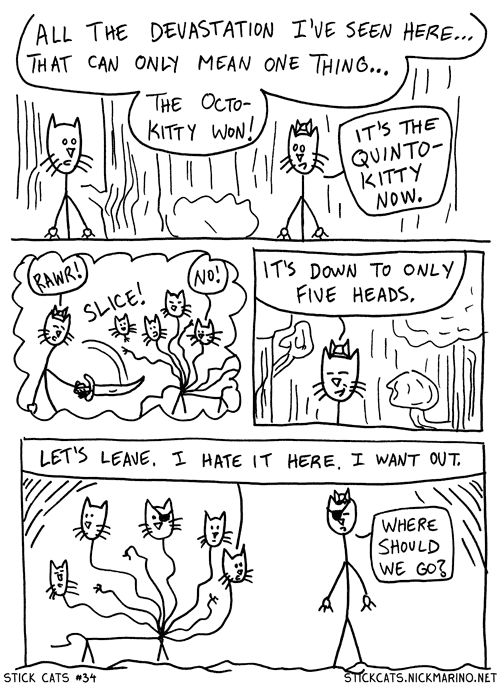 Because it's the reveal of the Octo-Kitty's new name -- QUINTO-KITTY! Which, BTW, is completely mathematically incorrect.